Molly Malone is an old Irish folk song. 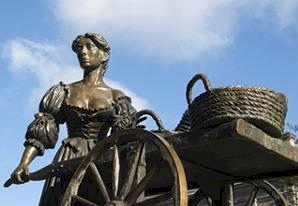 In Dublin there's a statue representing Molly. Crying, Cockles and mussels, alive, alive, oh! Crying Cockles and mussels, alive, alive, oh!